Built in 1906 for her parents, Zona Gale’s home at 506 West Edgewater Street is currently owned and maintained by the Women’s Civic League of Portage. Nestled along the banks of the Wisconsin River, Zona Gale may have found inspiration for her writings as gazed out her upstairs study window. The house and grounds are carefully maintained by the Civic League. 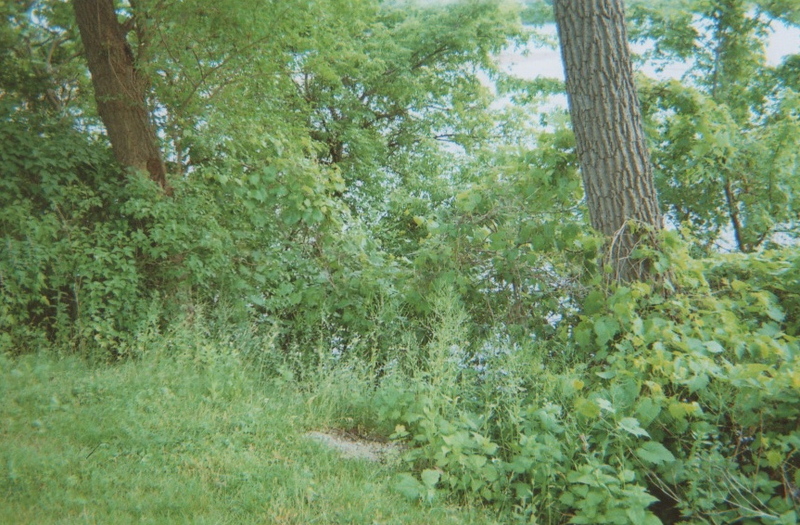 With the passing of time, the shoreline was eroding and becoming overgrown with invasive plants. 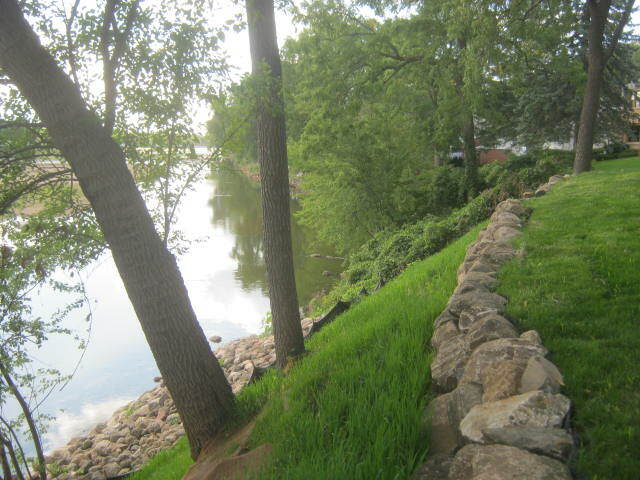 To preserve the lawn, which sits 20 feet above the water, a restoration plan was needed. After two years of fundraising which began in 2010, restoration of the yard was begun. 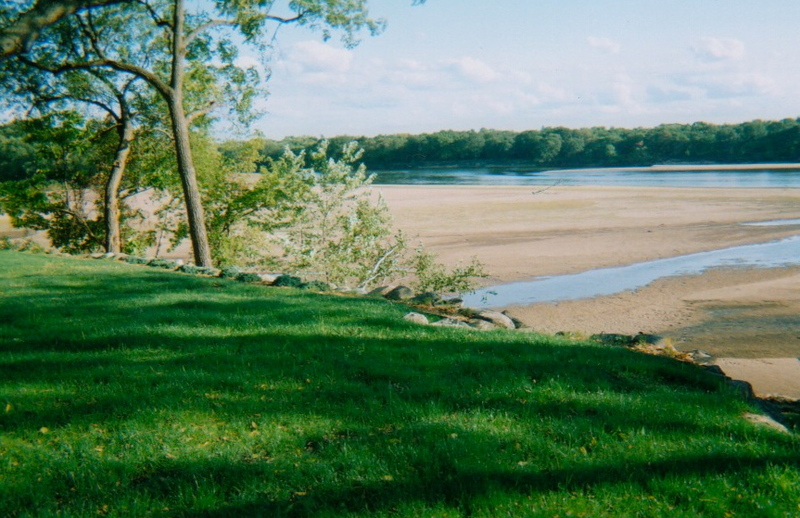 The overgrowth was removed and the shoreline was built up and restored to its original elevation. 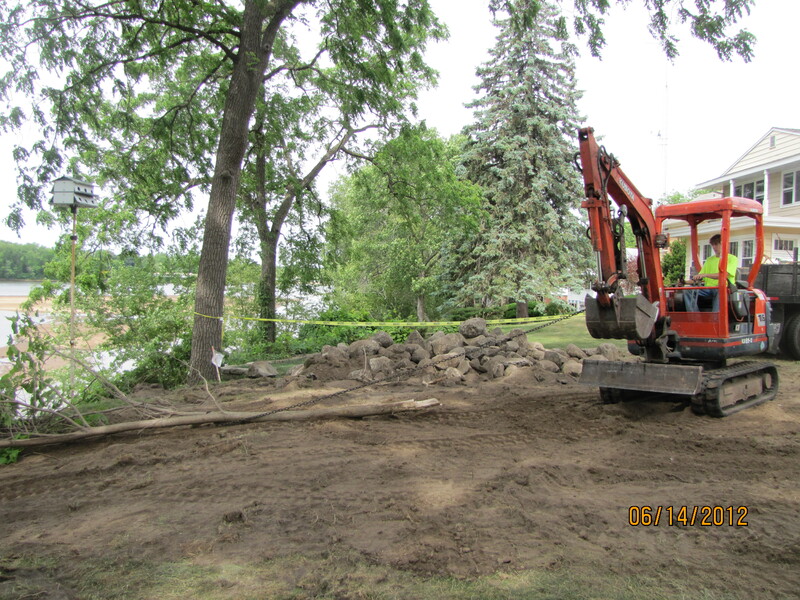 The new landscaping included the addition of rocks, tree trimming and removal plus the planting of prairie grasses. 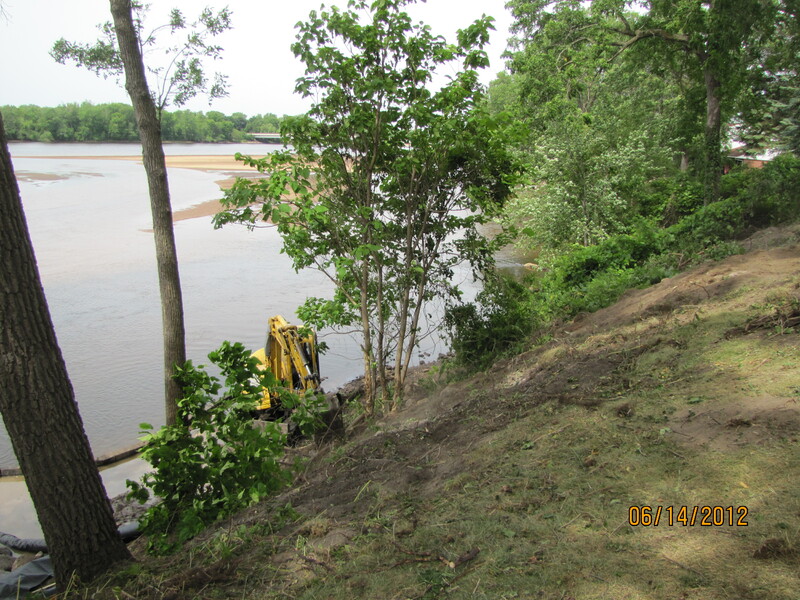 In addition to restoring the shore, the “club house” utilities and sprinkler system were brought up to code. The existing driveway and sidewalk were removed and new concrete poured and a window replaced. These improvements, totaling over $70,000 were funded through a Bidwell grant, matching program, the Breese Trust, and fundraising efforts. Additional improvements are planned for 2013. 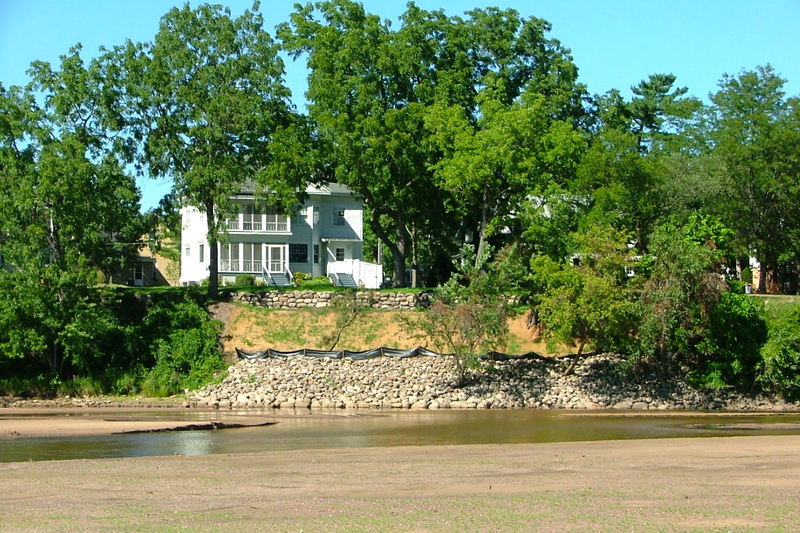 View of the house from the newly restored shoreline of the Wisconsin River. The home is listed on the National Register of Historic Places. Learn more about Zona Gale.